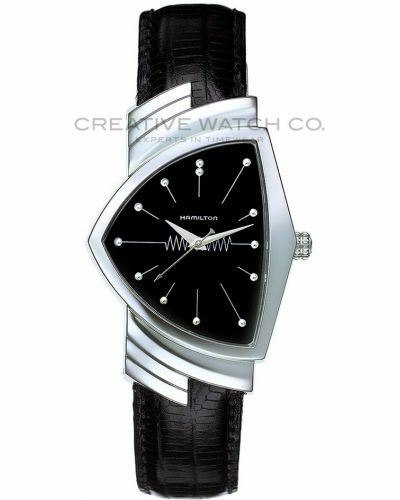 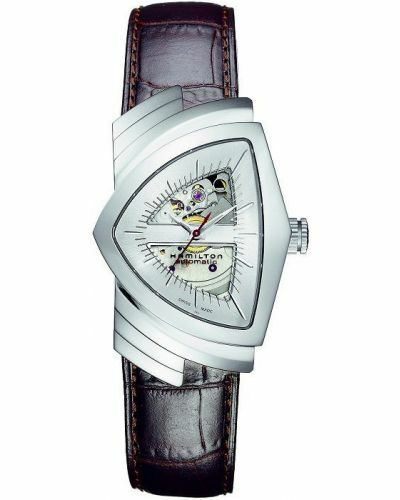 The asymmetrical design of this retro watch stems from the 1950's. 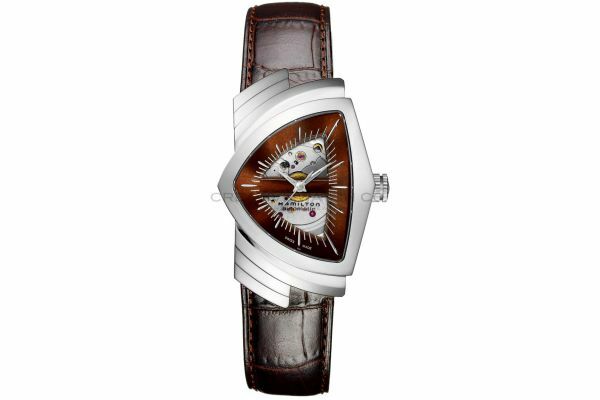 The beautiful skeletal design of the dial is a stylish and unique creation which stands out from the crowd with the brown dial surround and dark brown leather strap. 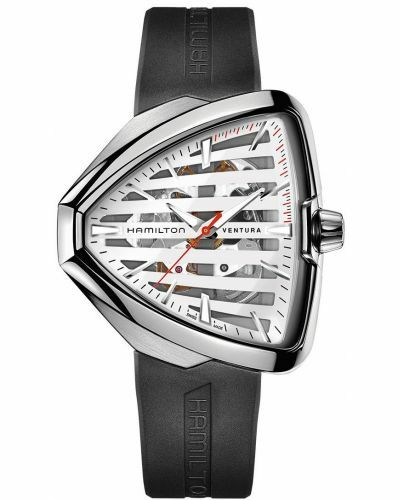 Complete with a Swiss quartz movement and sapphire crystal glass both front and back, this watch gleams quality. 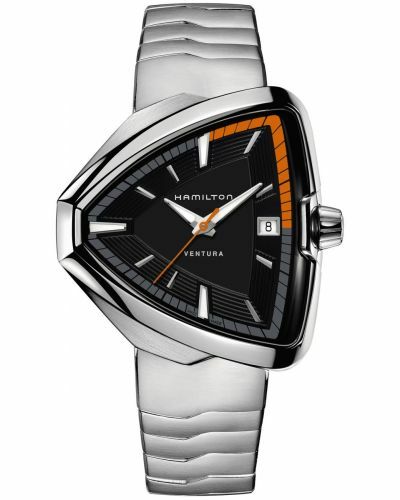 Hamilton American Classic Ventura H24515591. 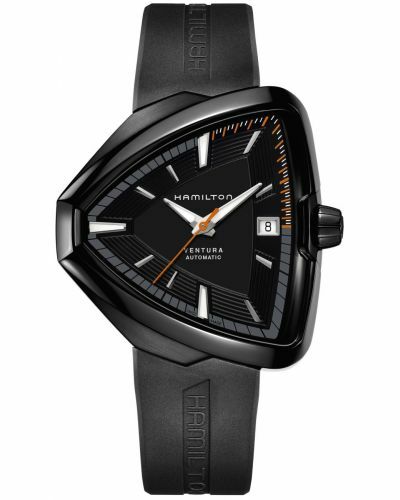 For us to size your new Hamilton American Classic Ventura watch as accurately as possible, please take a look at our downloadable Watch Sizing Guide.